My 2018 wedding season is WRAPPED!! What an incredible year. Capping it off with moving back to our hometown of Springfield, MO has been stressful of course but mostly just welcomed and wonderful. Once we’re back in the states, I’ll start sharing the pics from our house remodel… if you love before-and-afters as much as I do, be checkin’ back here. I think off-seasons look largely similar for wedding photographers, but I love this time of year. I’m finally able to start working through all those little things that just never seem to be done (and have been collecting in my little folder marked specifically for calmer months). Since I’m not preparing every few days for sessions and weddings, I actually get to step back and really think about how and why I shoot. My wedding season kicks off in March (in Jamaica! What?! ), and I’m so excited to have pretty much two months of downtime to refine systems, remove what isn’t important, and double down on what is. Anyway, my husband’s BSN (nursing) program wrapped up in January, so we decided to take advantage of him not having to ask off work quite yet… We searched locations in Europe by how warm they are in January (I know, I know), and we’d always wanted to visit Andalucía, so here we are. Two weeks in Granada and Sevilla! Traveling with a four-year-old can be, uh, challenging at times, but we do our best to roll with the punches. Also, apparently when you’re four, you adjust to a new time zone immediately. She really is an awesome little traveler. 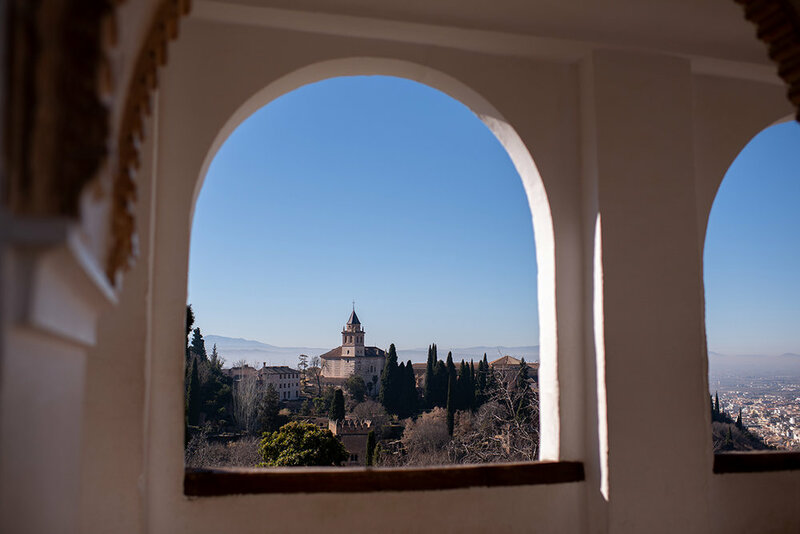 We started in Granada for 3 days, which we spent without luggage, but it was incredible. The last part of our trip, 12 days, we’ve planned to stay in Sevilla, which is where we are now. There’s so much history it’s mind-blowing… right down to the Roman ruins that marble the city’s architecture. The city is absolutely pristine. Highlights so far: Flamenco in the caves of Sacromonte where the dance style was born. The Alhambra. All the food. All the wine. Olive oil tasting. And I’m never not a sucker for gothic cathedrals. Of course, there’s Charlotte’s highlight of the trip and new favorite pastime: sowing fear in the hearts of the pigeons of what’s become our favorite little plaza here in Sevilla. I’ve promised her some quality play time, so here’s a few (mostly iPhone) shots and I’m outta here. We need a quiet day at the AirBNB… those couch cushion forts ain’t gonna build (and wreck) themselves.